I would give Nicole a million stars if I could! Nicole is fantastic! She was right there with us through the whole process of selling our home and buying a different one. Her expertise was invaluable and she never hesitated to give us her professional opinion. She was quick to respond and went above and beyond on our behalf throughout both transactions. I can't imagine going through the process without her. She and Fred will be our realtors for life! Thanks, Nicole & Fred Cara & Sheldon W.
Nicole and Fred helped with the disposition of mom's estate which included the sale of 3 homes. The photos and advertising showed the best features of each house. Very professional and always available to answer questions or offer suggestions. After all this help, they also helped me find and purchase my first home. Thank you Nicole and Fred. Karen T.
Nicole is Amazing! She took the time to answer all my questions and made me feel comfortable buying my first home. I will refer to everyone I know! She took by vague description of what I wanted and found a perfect place for me to call home. She worked well with my Loan Officer and pushed the Title Company so we could close on time. She was just as excited to give the keys as I was to take them! Jeff P.
Nicole (and Fred) worked with me on a few occasions. She was more than patient with me and my situation. I was more impatient than her. Nicole kept reassuring me. Finally she found the absolute perfect property for me. She was confident and fixed every hurdle imaginable. She never doubted for a minute the closing date. I was a complete basket case. I couldn't have done this without her. She is definitely a rare gem. But I already know that, as she has been my very dear friend for many years, and I love her with my whole heart. !😍😍 Georjean H.
Thank you Nicole! I was a first-time home buyer, meaning I was a non-stop fountain of questions which Nicole patiently and comprehensively answered in terms I could understand. She helped guide me through the search and purchasing process which was a huge help, and gave me advice only a seasoned professional could give. Very happy in my home! Rob L.
Nicole and (Fred) over the past five years have been on our journey with the sales of multiple properties and the purchase of a new home. 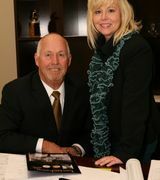 We highly appreciate them as a top notch realtor and value their friendships. Congrats Nicole on your website and hope to see you this soon!!!! Diane & Derek R.